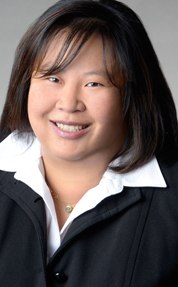 An Nguyen Ruda is a partner in the Firm's Labor & Employment department. An's practice includes litigation, advice and counseling, and administrative matters. She represents employers in a number of industries, including hospitality, and is a member of the Global Hospitality Group®. An's practice philosophy is to develop long term relationships and to provide efficient, effective and quality representation to clients--neither to over-litigate or under-litigate any matter. In 2014, obtained a defense arbitration award in favor of client investment firm against a former C-Level Executive alleging discrimination and retaliation. Award has been confirmed by trial court. In 2012-2014, obtained binding arbitration award against former plaintiff and counsel for breach of a settlement agreement. Specific performance, liquidated damages, and attorney’s fees and costs awarded to client. Award confirmed at trial court level, and was affirmed by the Court of Appeal. This case resulted in one published Court of Appeal decision and one unpublished decision in the client’s favor. In 2012, obtained Summary Judgment on the issue of whether out-of-state paychecks issued to employees violates Labor Code Section 212 and Business and Professions Code 17200. In 2012, obtained favorable settlement of split shift, minimum wage and other claims against restaurant chain. Handled labor and employment arbitration, including 2014 employment arbitration resulting in defense award, and arbitrations resulting in six-figure recoveries for clients on cross-claims or commercial disputes. On trial team of complex labor dispute involving one of the largest labor unions in the country tried in the Southern District of New York.